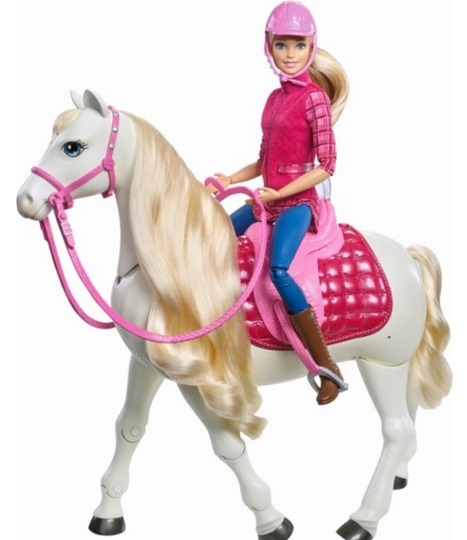 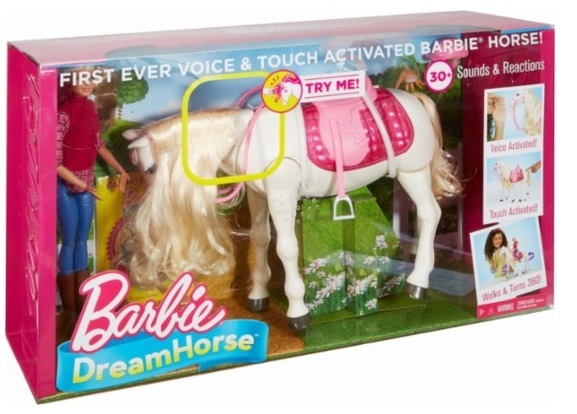 Best Buy has the Barbie and her Dream Horse on sale for just $34.99 (regularly $99.99). The interactive horse moves and makes sounds, and it has various game modes for added fun. 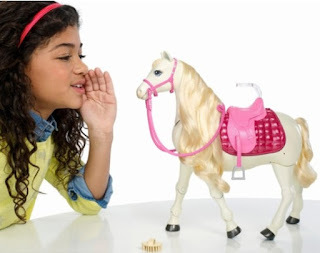 Walks forward, turns 360° and neighs when you play, also you can feed the horse with an included bunch of carrots and it nuzzles in response to your touch.